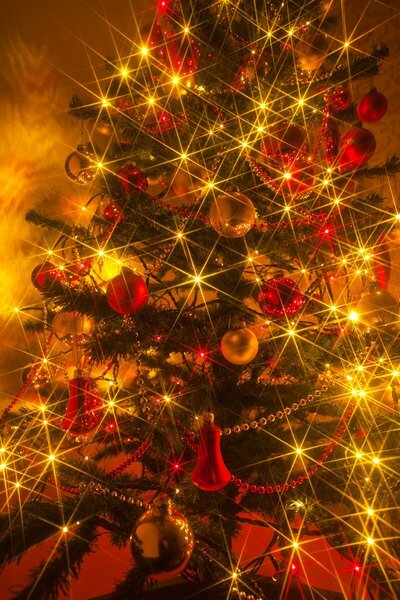 Here are tips to selecting, setting up and decorating your Christmas tree safely in the home. Christmas tree lighting events are happening all around Long Island and that’s a prompt for you to start the Christmas tree decorating process in your home. If you count the days, Christmas is less than three weeks away! But, before you head out shopping for a tree and starting the set-up and decorating process, take in some tips to be fire smart. Whether you go for an artificial tree or live tree, there are tips to take in for improved fire safety in your home. Artificial tree – Make sure it is labeled, certified, or identified by the manufacturer as fire retardant. Live tree – Avoid a tree with many green needles falling off when touched. It’s a sign it’s dry and not fresh. Never place the tree to close to a heat source. Cut 1- to 2-inches from the base of the trunk before placement and add water to the tree stand daily. Your tree should be at least 3 feet away for heat sources like fireplace, radiators, space heaters candles or heat vents and it should not block an exit. Take precaution with decorative lights. Lights should be labeled – tested by an independent testing laboratory. Read carefully whether your lights are safe for indoor use – some may only be appropriate for outdoor use. Don’t use lights with broken cords and replace loose bulb connections. Never use candles to decorate the tree. Don’t connect more than three strands of mini light sets and no more than 50 bulbs for screw-in light sets. Turn off light before leaving your home or going to bed. Trees will dry out and can become a fire danger. Take the proper steps to dispose of the tree after the holidays. When the trees needles begin dropping that’s a sign the tree has dried out and it should be properly disposed. Don’t leave it in the garage or against the home. Check the local community to find a recycling program. While getting in gear for the holidays with the Christmas tree, also check to make sure your smoke alarms are functioning properly. Photo by Uros Kotnik, via Free Images. Subject: LongIsland.com - Your Name sent you Article details of "Keep Your Family Safe this Holiday Season: Christmas Tree Fire Safety"